The main symptom of gluten sensitivity and celiac disease is difficulty digesting food after consuming gluten. This prevents people who suffer from these diseases from enjoying foods that contain this protein, because afterwards they may feel stomach cramps, bloating, and other unpleasant symptoms, along with more unpleasant side effects like gas and diarrhea. In fact, gluten intolerance may present with symptoms similar to irritable bowel syndrome. 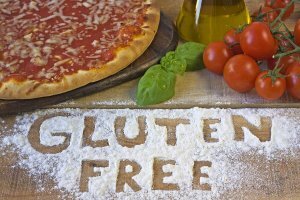 If you cannot eat gluten, you can continue enjoying your favorite dishes, such as Chicago-style pizza, in gluten-free versions. 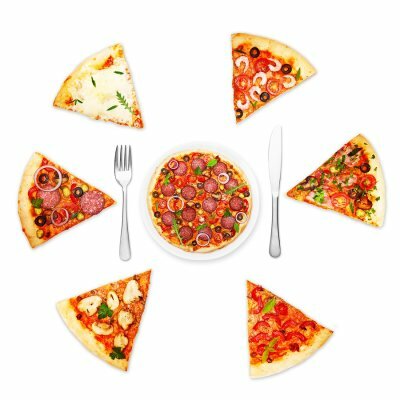 A gluten-free pizza will not cause the same stomach and digestive problems that regular pizza can cause in people with this food sensitivity. When a person with celiac disease or gluten sensitivity consumes a product containing gluten, molecules known as cytokines can enter the bloodstream through their digestive system. Cytokines can cause inflammation, and elevated levels of cytokines in the bloodstream may have led some sensitive eaters to report muddled thinking, headaches, and attention problems. Eliminate gluten, and you might find yourself thinking more clearly, without the aid of stimulants such as caffeine. Sometimes, gluten sensitivity can prevent a person’s digestive system from absorbing all the vitamins and minerals that he or she needs from food. This can lead to anemia and other nutrient deficiencies, which in turn affect energy levels. If you find that you feel lethargic, fatigued, or otherwise tired after eating breads, pizza, and other foods that contain high levels of gluten, consider switching to a gluten-free diet after consulting a nutritionist, and see if you feel any more energetic. When you are trying to find the right caterer serving Palo Alto , you should think about your budget, the food presentation you want for your special day, and the menu selection. Once you have an idea of the kind of food you want to serve, you can start the search for a catering company that can provide it. Check out a few different caterers until you find one that you like. It is important to choose a company that you work well with so you can get the catering results that you want. Check out this video to learn more about choosing the right wedding caterer. When you find a reputable company, you will not have as much stress as you continue planning your special day. Although this is a simple topping combination, it is one of the most popular for a reason. The pairing of salty pepperoni with flavorful cheese enhances the taste of the crust and the sauce to create the ideal combination for your next meal. Pepperoni and cheese pizza is perfect for a simple snack or as the catering selection for your next party. Why choose only a few toppings when you can have them all? If you love to experience a combination of flavors when you bite into a slice of pizza, you might enjoy asking for the works on your next pie. 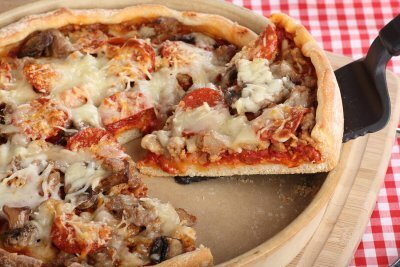 Combining meats like pepperoni and sausage with vegetables like mushrooms, onions, and peppers helps you experience pizza at its best. If you love the sweet and savory combination, you must try a pizza that combines Canadian bacon with pineapple. The sweetness of the fruit counteracts the saltiness of the meat to leave you with the perfect flavoring for your next meal. You do not have to wait until someone hosts a barbeque to host a party. Check out your favorite pizza place near Palo Alto the next time you are craving barbeque and try out a chicken pizza with barbeque sauce. If you love experimenting with flavors, this pizza gives you a new way to enjoy your favorite meal. Vegetarians can also enjoy the combination of sweet and savory when they order a pizza with pineapple and black olives. Not only is the pizza visually appealing, but it is also delicious. If you are looking for a new kind of pizza to enjoy, you might want to try out pineapple and black olives on your next pie. Pizz’a Chicago is much more than one of the best pizza places near Palo Alto . We also offer top catering services that help you provide food for a variety of events. Keep reading to learn more about these services and what they can do for you. When you take advantage of our catering services, you do not have to waste time planning out a menu or preparing a lot of food. Just tell us how many guests you plan to have, whether any of your guests have any dietary restrictions, and when you want us to come and we can handle the catering for you. Whether you are hosting a graduation party or a work function, our catering services are here to simplify your life so you can focus on having fun. 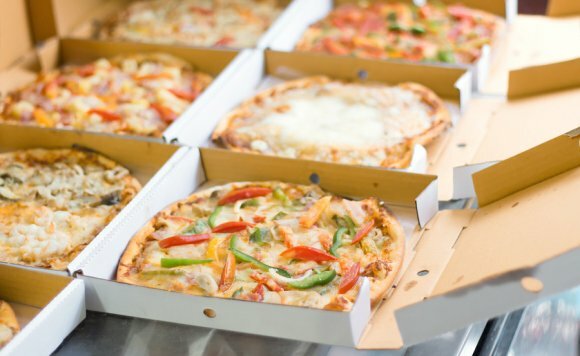 Our amazing selection of pizza and sandwiches is just what you need to ensure that your next event is a success. Leave the food preparation to us so you can enjoy your party. Who Invented Deep Dish Pizza? Although historians know that deep-dish pizza was invented in Chicago, they have discovered that is almost impossible to figure out who actually created it. The only documentation about deep-dish pizza that exists lead back to Pizzeria Uno, which is a pizza place that still exists in The Windy City. Historians can be sure that the first deep-dish style pizza was served out of the Pizzeria Uno building, which stands at 29 E. Ohio Street in Chicago. The original Pizzeria Uno operated out of a mansion built by Nathan Mears, who was rich from the lumber industry. Richard Novaretti, also known as Ric Raccardo, and Ike Sewell founded the original Pizzeria Uno, but historians are hesitant to give them full credit for creating this style of pizza . All anyone can be sure of is that it originated in Chicago and quickly gained popularity throughout the country. Historians do know that deep-dish pizza originated in Chicago in 1943. Instead of creating pies with thin crusts, pizza makers in Chicago started to build thicker, crunchier crusts with the sauce on top of the cheese. The entire pizza industry brings in billions of dollars a year and the restaurant that is responsible for deep-dish pizza brings in millions on its own. There is no food that represents the City of Chicago as much as deep-dish style pizza. Pizza places around the country specialize in this deep-dish pizza to give their patrons the authentic Chicago flavor without having to leave their hometowns.